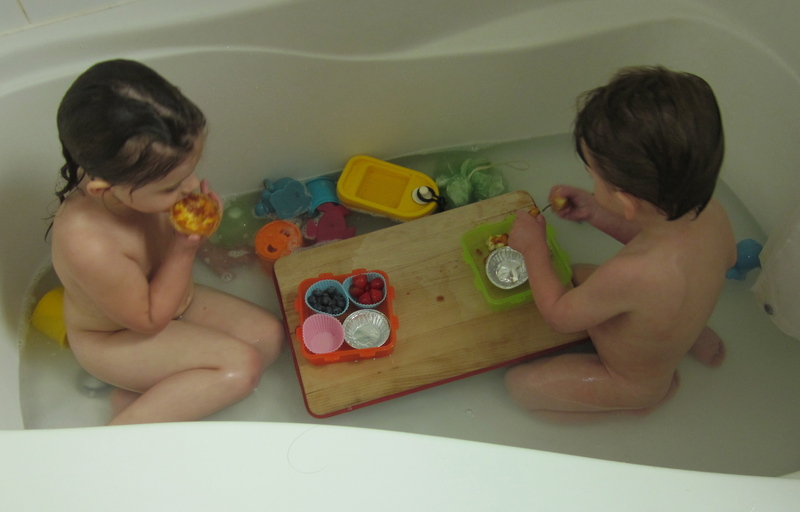 Ah, the secret to speedy Shabbat prep – bentos in the bath! A wooden cutting board make the perfect floating table. I’m still trying, as I have been for years, to make Shabbat feel more restful and holy. Last week I managed to resist the lure of my laptop (and the internet) for the entire 25-hour day, only because just before Shabbat I shut down the computer and took it downstairs. I spent the day talking with Mr. December, playing with the kids, napping, and getting together with friends. Our Shabbat day is a work in progress, but this feels like a step in the right direction. 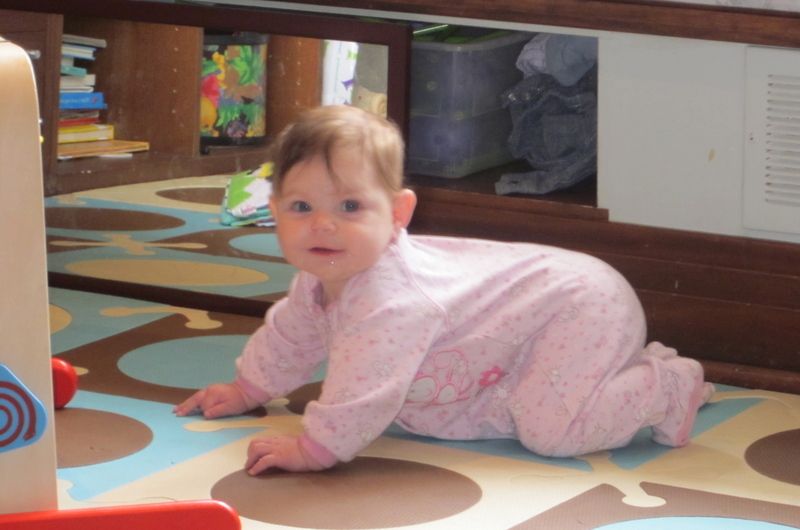 Up on all fours and rocking. Mummy is not ready for this! And so, I’m shutting off my computer to spend Shabbat with the little people. I hope your Shabbat (or just plain Saturday, as the case may be) is delicious, relaxing, and happy… just like the current moment in our home. and cutie pie K, looking so proud of herself!